Diamond Terrifier is Sam Hillmer of Zs. If you can’t tell from the name, Diamond Terrifier does not make easy music. Combining saxophone, samples and electronics in a minimal dronescape, Diamond Terrifier makes the music that will be playing in your next fevery stress dream. 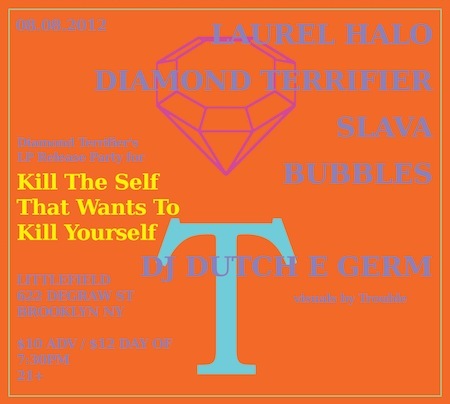 On August 14th, Northern Spy will release Diamond Terrifier‘s full length debut, Kill The Self That Wants To Kill Yourself. You can preorder KTSTWTKY @ northern-spy.com.